How do you overcome the loneliness of being a mompreneur? If you’re lonely because you’re running your own business and are missing out on the social scene, this article will help! Support is one of the KEY Sanity Dimensions™ that my private coaching clients struggle with. And support is THE key ingredient to success for MOST mompreneurs. On a recent excursion, some of my friends ‘shook me down’ and had an ‘intervention’. They were concerned that I was working too much, and not spending enough time on me. They had seen me disappear from the social scene, and they missed me. They wanted to check in and be sure I was okay and not spending too much time in my business without honoring myself. While it was a difficult message for me to hear, I understand. There is a BIG difference between those who are running their own businesses, and those who are not. Sometimes it’s difficult to find and feel support when the rest of the world is scratching their heads wondering what the heck you’re doing! Realize that most often, it’s a simple case of unconscious incompetence… People who do not run their own businesses simply don’t know what they don’t know. They are innocently unaware of what is involved behind the scenes of creating a profitable venture. I’m happy to have a group of friends who care that much for me and my family. But often, it’s simply a case of people not knowing what they don’t know, and they are just showing concern. This sometimes can feel like a lack of support… but really it’s not. 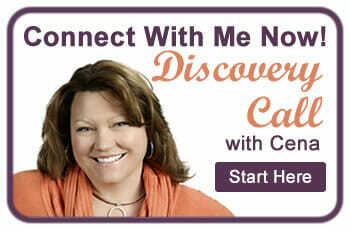 It’s up to you to inform and share with your close friends what you’re up to and excited about. They will be excited too when they know more about what you are passionate about. All they see is a result of your absence that makes them worried or concerned. In my case, I wasn’t showing up to all the different social activities regularly, and frankly, they missed me and they wanted to be sure I wasn’t burning out or neglecting my family members. So, first, let’s talk about the dark and scary consequences of no support… BURNOUT! Burnout creeps in bit by bit and can be avoided as long as you are aware of the warning signs… MANY of which are emotional signs. If you’re running so hard that you end up feeling resentful, overdrawn, reactive, fed up or short tempered… or if you find yourself in an endless procrastination zone, you’re likely struggling with burnout. If you are a hamster on a wheel, it’s time RIGHT NOW to implement some extreme self care… Take a break, hire a coach, take a vacation – or just go somewhere to get back in touch and get perspective! You must unhook from the feelings of stress FIRST, before you engage with another, new and different activity. So, how do you keep your chin up, stay connected and keep going? I have several suggestions that are important ingredients for success. Find Local Networking Opportunities with like minded people. 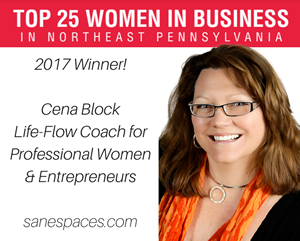 There are many towns that have local women in business groups, chamber events, mixers, luncheons and nights out. The second ingredient to your success with local networking groups is to consistently show up to meetings and events. Networking is not just meeting people… it’s helping them get to know, like and trust you! The biggest mistake is joining, but then not attending regularly. You have to attend to build relationships with others… It’s important to do that. Create or join a mastermind group. Mastermind groups have become ‘THE’ premier way to get things done in the online entrepreneurial scene. Many Mastermind groups are comprised of 5-12 complementary business owners focused on helping move your business forward through the shared brain-power and experiences of like-minded entrepreneurs. Mastermind groups are most effective when comprised of people with different levels of experience and areas of expertise as well. Join an online group. This is another GREAT way to find support. (And I mean GREAT!) People are always willing to share their expertise. Even if you’re in a location that is remote or not-business oriented, there are MANY online groups and chat boards designed for just this purpose. Get involved in something you love. Joining a gym, a scrapbooking group, or a local club can help you find others who can serve as a support group. If you feel strongly about a cause, VOLUNTEER to serve on their board or on a committee for that group. I’ve established amazing relationships by volunteering and giving back to these types of organizations. One of my key beliefs is not to underestimate the power of One! One person who absolutely loves and believes in you can lead to a lifetime of referrals, business, help, partnerships, and ideas! Getting involved locally can be the difference in your business, health and happiness! Deliberately plan and honor social time. I am a scrapbooker and card maker. It’s one of my hobbies and I have a group of close friends that I see one time per month for a card exchange. We also have two weekends annually that we crash in a hotel conference room for a weekend – spread out and savor the time off. As I’ve launched my business, I’ve brought my computer to check in on certain details or follow up, but for the most part, the weekend is dedicated to scrapbooking. I’m so thankful for this time away to focus on my hobby and spend time with my friends. This is easier said than done. It is important that you schedule your social time as you do your client time. Create regular routines for the day to day. 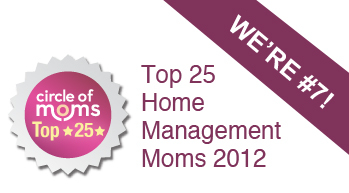 In the busy lives of mompreneurs, everyday tasks can get out of control if we are not maintaining a regular schedule. When everything else is done (chores, errands, shopping, cleaning, laundry), you are much more likely to feel good about spending some time off connecting with others. When your sink is full of dishes and you have dirty laundry piled up.. not so much. If this is you, you may need to get some help around the house! This may seem unrelated to connecting and getting support, but if you have regular routines that are consistent, you are much more likely to want to take time off when you need it. Creating regular routines creates reliability and makes sure that the every-day-ness is maintained. Hire a coach dedicated to your success. Many established coaches offer private chat groups (like me) as part of their group programs and packages. So when you purchase a coaching plan, package, or buy into a program, you also opt into a great support engine to get everything you need from others. For instance, my two most recent group programs – Planapaloozah and AWAKE, Manage Your Time To Love Your Life include VIP access to open chat groups that allowed attendees and members share ideas. The formula works and the access to others is awesome! If you are a mompreneur bordering on burnout, or know someone who is, check out the Mompreneur’s Sanity System™ Coaching Program and let’s see if I can help! What are some techniques that have worked for you? Please share your wisdom in the comments section below!